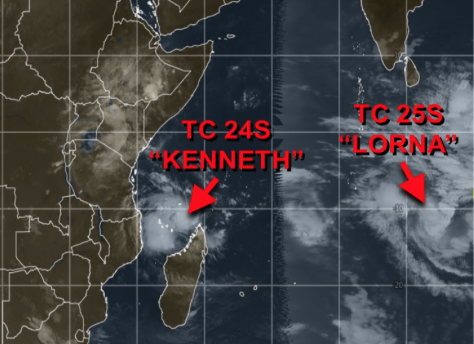 In the Southern Hemisphere – Tropical cyclone 24s (Kenneth), located approximately 148 nm east-northeast of the Comoros, is tracking westward at 11 knots. Tropical cyclone (tc) 25s (Lorna), located approximately 715 nm east- southeast of Diego Garcia, is tracking southeastward at 07 knots. South Africa – At least 51 people are now confirmed dead in the flooding that hit parts of Durban and surrounding areas. Authorities say five people remain unaccounted for and hundreds more have been displaced. Meanwhile flooding caused by heavy rainfall in the Eastern Cape has claimed three lives. About 450 people have been affected by flooding in Port St Johns. Many bridges have been washed away across the district in many villages. For nearly 2,000 miles, the Rio Grande River winds it way from the Rocky Mountains down to the Gulf of Mexico. As one of the country’s longest and most iconic rivers, it provides drinking water and irrigation for more than six million people in three U.S. states. But climate change is threatening that vital water supply. The Colorado snowpack that melts into the Rio Grande is declining – 25 percent over the last 50 years – and University of New Mexico climatology professor David Gutzler said climate change is threatening to dry it up. He foresees dry spells getting drier, droughts getting more intense and water resources being put under extreme pressure. Florida state health officials reported an additional 70 hepatitis A cases last week, bringing the outbreak total to 1431 cases. Scotland health officials have received at least four notifications of wound botulism cases (3 confirmed and one probable) since February. 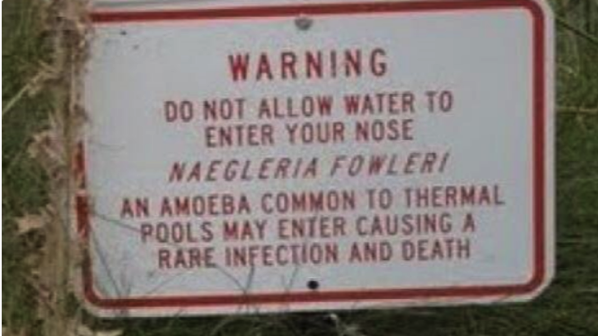 The source of the infection is believed to be heroin contaminated with Clostridium botulinum spores. 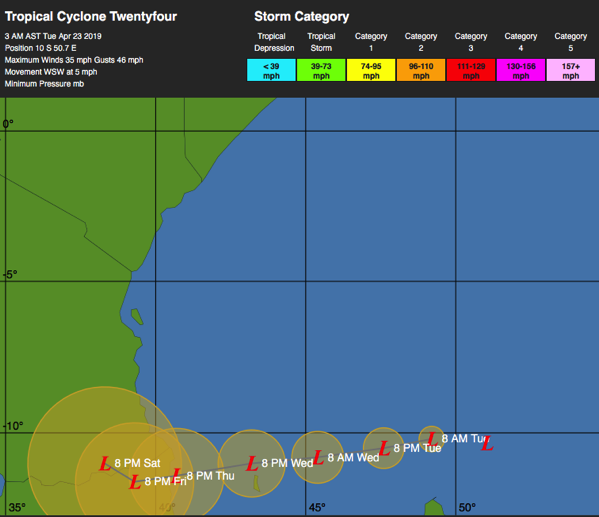 In the Southern Hemisphere – Tropical cyclone 24s (Twenty-four), located approximately 716 nm north-northwest of Port Louis, Mauritius, is tracking west- southwestward at 05 knots. South Africa – Emergency rescue and medical services have worked through the night in the wake of torrential rains which have pounded parts of KwaZulu-Natal since Monday, claiming several lives and leaving devastation in its wake. The torrential downpours led to the evacuation of residents in the town of Port St Johns in the Eastern Cape on Monday evening. 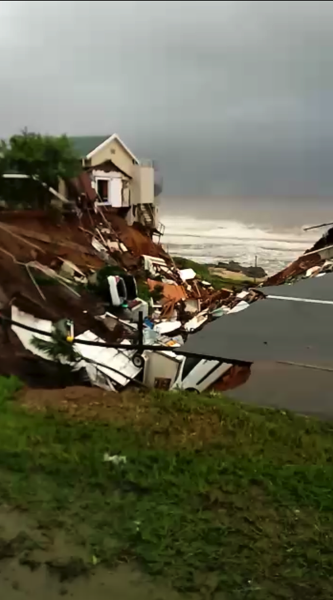 At least five people were confirmed dead and dozens others injured after their homes collapsed during flooding and mud slides in Durban. Spain – The holiday hotspot of Alicante in eastern Spain has experienced some of the heaviest rainfall in its history, leading to the evacuation of more than 300 people during these Easter holidays. Heavy rainfall and storms have been ravaging the Alicante area since Thursday. As well as the flash floods, wind speeds have reached 100km/h along Spain’s central eastern coastline. In the nearby town of Jávea (Xabia) Sunday’s downpour saw 250 litres of rainfall for every square metre, flooding hundreds of homes and leaving cars floating in the streets like corn flakes in a cereal bowl. Numerous ports in the region have had to stop operations due to waves of up to three metres in height. Canada – Spring flooding has killed one person and forced nearly 1,700 people from their homes in Canada’s Quebec province, with waters expected to continue rising on Monday due to rising temperatures and more rain forecast for the coming days. 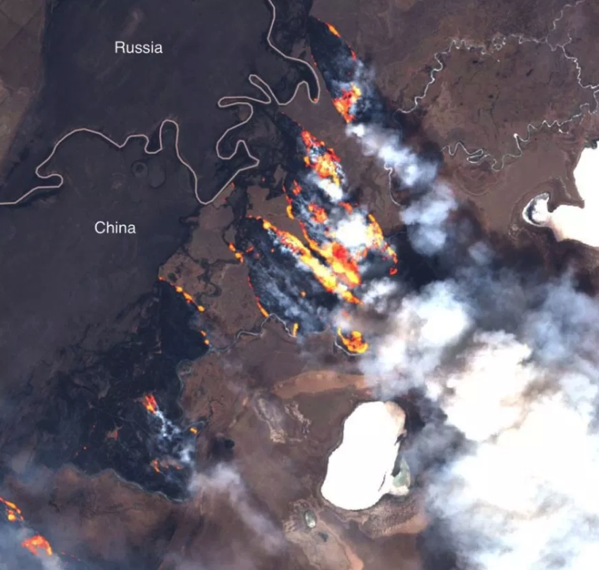 The image series was captured by satellites Landsat 7 and Landsat 8 from 2013 to 2018. Shared on April 19 by NASA Earth Observatory, the animated sequence reveals devastating depletion in the forests of southeastern Peru’s Madre de Dios region, covering approximately 1,350 square miles (3,500 square kilometers). Madre de Dios rests near the Amazon basin and is a biodiversity hotspot, home to species that live nowhere else on Earth. But with deforestation on the rise, plants and animals that are endemic to the region face an uncertain future. The circulation of Rift Valley Fever (RVF) continues in Mayotte, according to state services in Mayotte. During the past week, 12 new animal foci and 5 new human cases have been reported, for a total of 104 animal foci and 122 human cases since the first cases occurred at the end of November 2018. Gwenhoro Commercial Farm in Shurugwi has been hit by foot-and-mouth disease, a development which is likely to adversely affect livestock movement and production in the Midlands Province. An official from the Veterinary Services in the province, yesterday said more than 50 cattle have been affected. Iran – Update – Two weeks since the storms started, relentless rain and flooding throughout Iran has left some 2 million people facing a humanitarian crisis. The deluge has swamped large swaths of the country, from the mountains in the north down to the Persian gulf in the south. Twenty-five out of 31 of Iran’s provinces have been affected. Officials say say 76 people have been killed so far, with some 150,000 homes partially or completely destroyed. Bridges across the country and miles upon miles of road have been left unusable. The country’s agriculture sector, which makes up about 14 percent of Iran’s GDP, has been devastated. The Lyrid meteor shower marks the first significant meteor shower in more than three months. It will be visible from Sunday evening, 21 April, and will peak between 2:00 and 3:00 on Tuesday, 23 April. Lyrids meteor streams are groups of meteoroids originating from dust grains ejected from Comet Thatcher, The meteoroids (small dust grains) are distributed around the comet’s orbit. We get to see the meteors every time Earth passes through that stream of dust particles, or the debris left behind by the comet. These pieces enter the Earth’s atmosphere and burn up, creating the meteor shower, or shooting stars, as we often refer to them. The Lyrid meteor shower is known for its bright fireballs.